Unless we see some decent rainshowers in the coming months, the challenge for agriculture will be huge. The Western Cape was declared a disaster area on 22 May this year as a result of the worst drought in 113 years. Combined dam levels amount to 27,4% (4 August 2017), compared to the 54,8% at the same time last year. 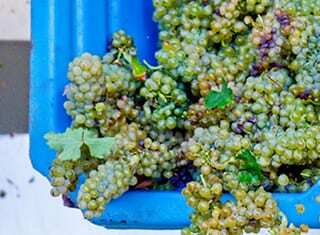 Agriculture in the Western Cape, in which the grape growing industry plays a significant role, will be most severely affected. Stringent water restrictions have been introduced and may become considerably more austere. 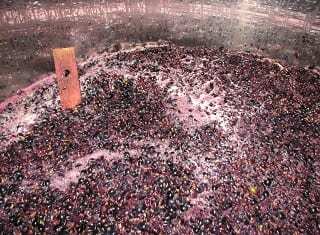 Fortunately the grapevine is intrinsically very resistant to drought and it does not require a lot of water to produce a crop of good quality wine grapes. Some of the best wines in the country are produced from dryland vines. 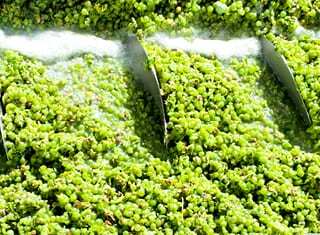 There is another approach, however, as well as challenges in the intensive irrigation and higher yield regions. Large canopies on bigger trellis systems increase transpiration and consequently water consumption. In these areas the following recommendations will be even more critical. The most important question is what the producer can do to survive the drought/restricted water supply. As much water as possible must be stored in dams during winter. Cleaning of canals and dams and the channelling of all catchment water to dams will make a big difference. This season it will not be possible to rely on municipal water. Leakages in irrigation lines and clogged drippers can result in significant losses, so it is imperative to ensure that these are cleaned and maintained properly. Prune according to vigour this year and only leave one bud on weaker shoots and limit the number of bearers per grapevine. Cover crops suppress weeds which may appropriate large amounts of the grapevine’s water. The cover crops should be flattened early in the season and/or sprayed chemically on the berms to prevent competition. This will also leave a thick cover layer on the soil which counters evaporation. Early chemical weed control is very important this year to eliminate all competition (competing weeds) with regard to water. Ensure that your spraying programme is correct and make an early start to control weeds successfully. If you wait too long, it will be less effective. Also remember that weed control increases evaporation through shallow cultivation. The use of an organic layer (“mulch”) on the berms. This suppresses weeds and helps to retain soil moisture. All shoots that have been pruned should be left on the ground. Delay the first irrigation for as long as possible! Once irrigation starts, it cannot be stopped. New root growth to the wetter subsoil is only initiated by the plant if there is a shortage of water in the topsoil. When irrigation begins too early, this process is arrested and the result is a shallow, poorly buffered root system. Irrigation scheduling: Avoid short and regular irrigation intervals and rather irrigate for a longer period and less regularly. Soil type and water retention ability are obviously very important and will dictate the kind of scheduling. Thorough soil water monitoring and irrigation scheduling by means of soil moisture sensors and pressure bomb are not negotiable. The grapevine is inherently resistant to drought and its irrigation is mostly excessive. The soil should dry out thoroughly before the next irrigation. This process is called deficit irrigation. Read the grapevine’s signs before irrigating. The position of the tendrils on the shoot tips is an indicator of water stress, as well as leaves that turn away from the sun. FruitLook is a free website which uses satellite images to monitor the water consumption and grapevine stress in your vineyard. Fertilisation programme: Be careful, with nitrogen especially, to restrict excessive growth. Bigger canopies use more water. Take soil samples to ensure that fertilisation is not excessive. Canopy management practices: Early suckering (30 cm shoot length) of unnecessary shoots and thinning of bunches for balance and the wine objective can make a dramatic difference to water consumption. Cutting back the shoots to reduce leaf surface will also make a difference. Timeous topping actions are also important to keep canopies smaller and thus reduce water consumption. Installation of netting: This is more common in the case of table grapes and up to 30% of water may be saved by blocking out direct radiation and wind. Nets also protect the crop against hail damage and birds. 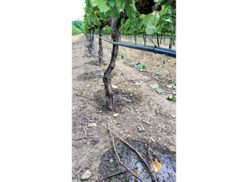 Also see the informative article by Lucinda Heyns on “Management of grapevines during drought periods” on the IGWS website: http://igws.co.za/article/guidelines/drought-conditions/management-of-grapevines-during-drought-periods. A follow-up article will look at the factors to be taken into account in the long term for more effective water consumption in future.